Fern Hill School was built in 1905 at Minnetonka Blvd. between Natchez and Ottawa Avenues. (In 1893 the land had belonged to J.W. Hayes.) 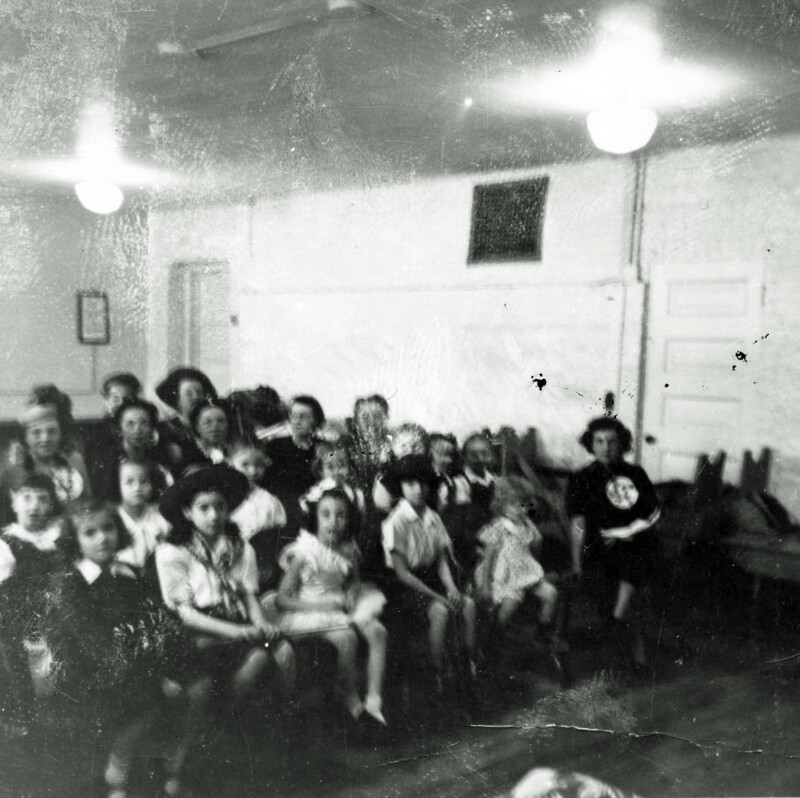 The school was a square, red brick building with one classroom that was heated by a stove. Bertha Bates taught at this early school, which held five grades in one room. The back of the (undated) photograph below refers to it as the Theodore Roosevelt Building and Lake Street School. In 1922 the school was enlarged to eight rooms. In 1925-1926 it was up to the Mother’s Club to raise the money to buy hot lunches for the students. That year it was noted that attendance was down due to the fact that several large families had moved from the district. A memorable Principal was Orlando Richard Paske, who only had one arm. Mr. Paske’s son sent a memoir about his dad that was written by a former student, Gwen Evans. 1940s Talent Show in the Basement Lunch Room/Auditorium. Photo courtesy Carol Gallagher. In 1967 Park Hill was discontinued as a school, having served 62 years.